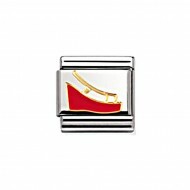 Composable Nomination Classic Gold and Enamel Peace and Love 70’s Shoes Charm, a stainless steel base link with 18ct Gold and Enamel. Composable Nomination Classic Gold and Enamel Peace and Love Brotherhood Charm, a stainless steel base link with 18ct Gold and Enamel. 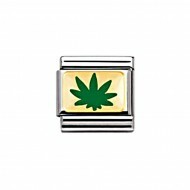 Composable Nomination Classic Gold and Enamel Peace and Love Cannabis Hippie Leaf Charm, a stainless steel base link with 18ct Gold and Enamel. 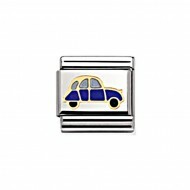 Composable Nomination Classic Gold and Enamel Peace and Love Car Charm, a stainless steel base link with 18ct Gold and Enamel. 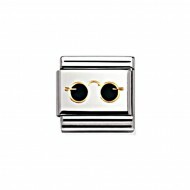 Composable Nomination Classic Gold and Enamel Peace and Love Glasses Charm, a stainless steel base link with 18ct Gold and Enamel. 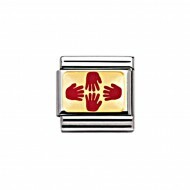 Composable Nomination Classic Gold and Enamel Peace and Love Hippie Charm, a stainless steel base link with 18ct Gold and Enamel. 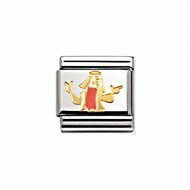 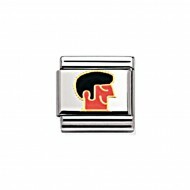 Composable Nomination Classic Gold and Enamel Peace and Love Hippie Man Charm, a stainless steel base link with 18ct Gold and Enamel. 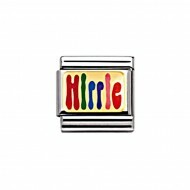 Composable Nomination Classic Gold and Enamel Peace and Love Hippie Style Charm, a stainless steel base link with 18ct Gold and Enamel. Composable Nomination Classic Gold and Enamel Peace and Love No War Charm, a stainless steel base link with 18ct Gold and Enamel. 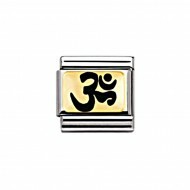 Composable Nomination Classic Gold and Enamel Peace and Love OM Bambule Charm, a stainless steel base link with 18ct Gold and Enamel. 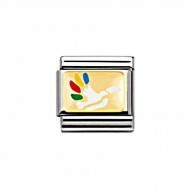 Composable Nomination Classic Gold and Enamel Peace and Love Peace Dove Charm, a stainless steel base link with 18ct Gold and Enamel. Composable Nomination Classic Gold and Enamel Peace and Love Peace with Flower Charm, a stainless steel base link with 18ct Gold and Enamel. 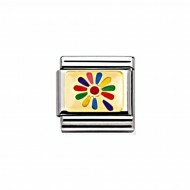 Composable Nomination Classic Gold and Enamel Peace and Love Rainbow Flower Charm, a stainless steel base link with 18ct Gold and Enamel. 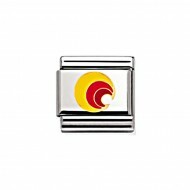 Composable Nomination Classic Gold and Enamel Peace and Love Serenity Charm, a stainless steel base link with 18ct Gold and Enamel. 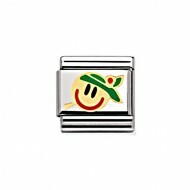 Composable Nomination Classic Gold and Enamel Peace and Love Smile Charm, a stainless steel base link with 18ct Gold and Enamel. 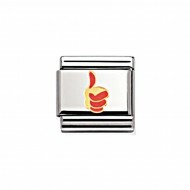 Composable Nomination Classic Gold and Enamel Peace and Love Thumbs Up Charm, a stainless steel base link with 18ct Gold and Enamel. Composable Nomination Classic Gold and Enamel Peace and Love Van Charm, a stainless steel base link with 18ct Gold and Enamel.